In a surprise move today, Cloud Imperium Games has pushed the Star Citizen Alpha 2.0 that was being tested by select players on the Public Test Universe to the live servers. This enables any player who has purchased a game package to be able to partake in the Alpha test for what is the beginning framework of the Persistent Universe – essentially the glue that will hold the universe of Star Citizen together. The patch is live now and is roughly 33 GB, depending how much an individual has kept up with patches. 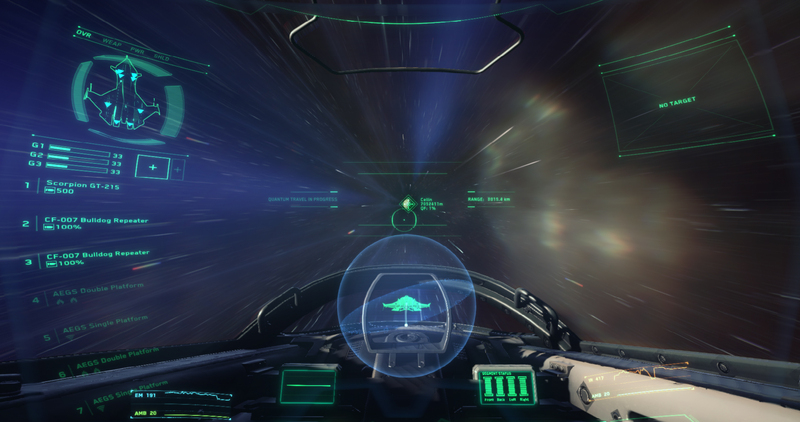 Gameplay features the ability to fly around a planetary system to different stations and participate in missions or random encounters, with or without other players. Some missions require the player or players to land their spacecraft and walk around inside the station. FPS combat is a potential. Check out the exciting Star Citizen Alpha 2.0 Trailer here. It’s definitely worth checking out, whether you play yourself or watch some live streams on Twitch.tv! The announcement came as a largely unexpected surprise to the community. The patch released to the test servers this morning was paramount in the last-minute release as it fixed a game server crashing bug that limited players to 20-30 minutes of gameplay before the entire game server would crash, disconnecting all players on that particular server. Players are reminded to submit any bugs they find via the Issue Council – a module on the RSI website that allows players to bring up issues such as bugs, glitches, exploits, and other problems to the developers. It allows collaboration between other bug reporters to really track down what might be causing the issue to aid developers in finding a solution to the problem faster.